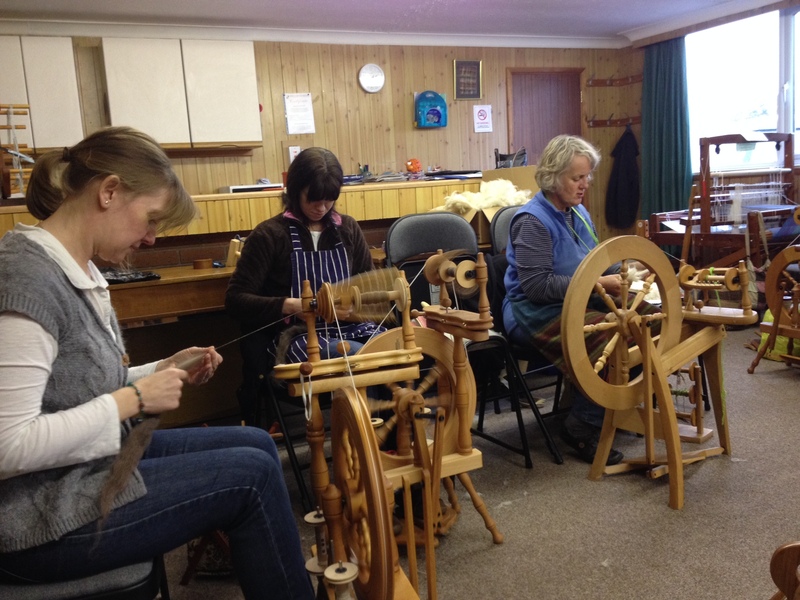 Dilham Village Hall is having a Christmas Fair next Saturday 07/12/13, so the Weavers Workhop will be open for visitors from 10.30 to 4.00. We will then meet again on Tuesday 14th January 2014 and the first Saturday meeting will be on 25th January. 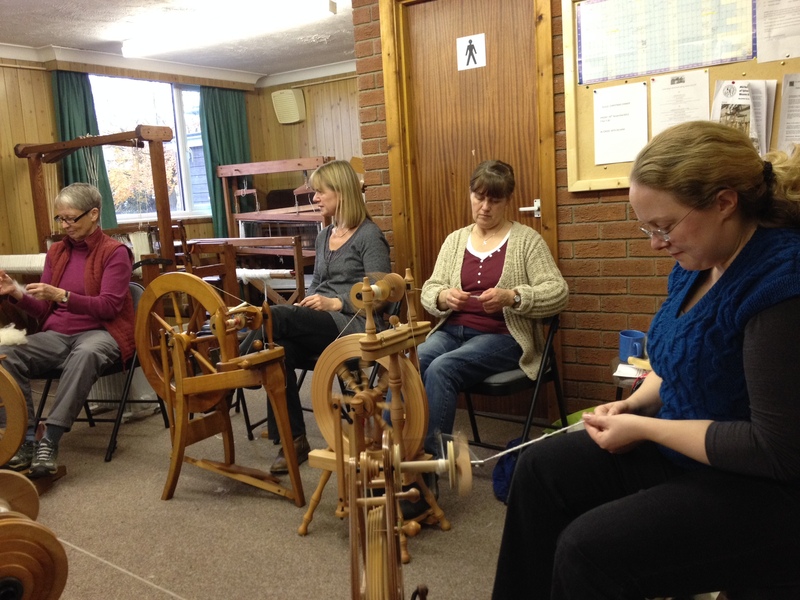 The last 2 workshops of the year were very successful, the spinning workshops was for beginners & improvers and we worked on longdraw with some very nice Hampshire down fleece which had been given to the guild, every one managed in the end after a bit of frustration & much wailing. 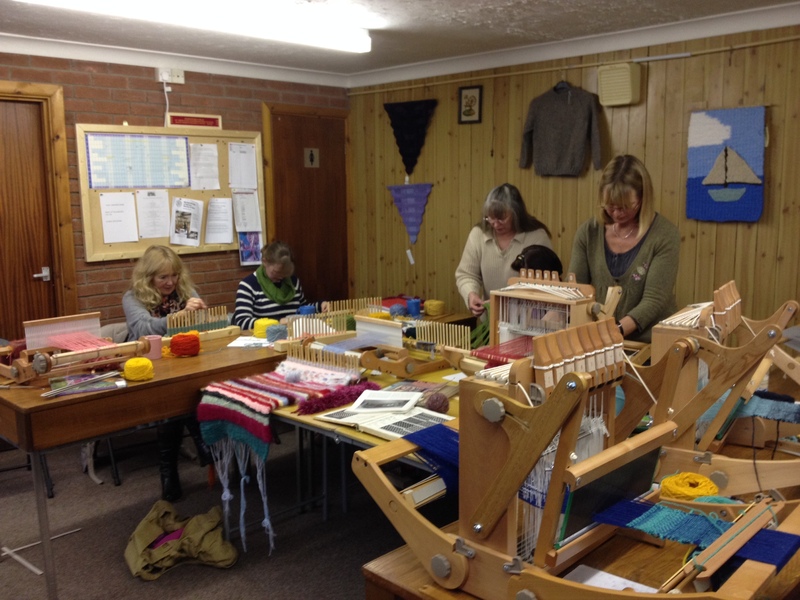 The weaving Taster Day was again a great success, starting with fingersticks and moving on to peglooms, rigid heddles & 4 shaft looms, there was something for all levels of experience and lots of samples to take home. 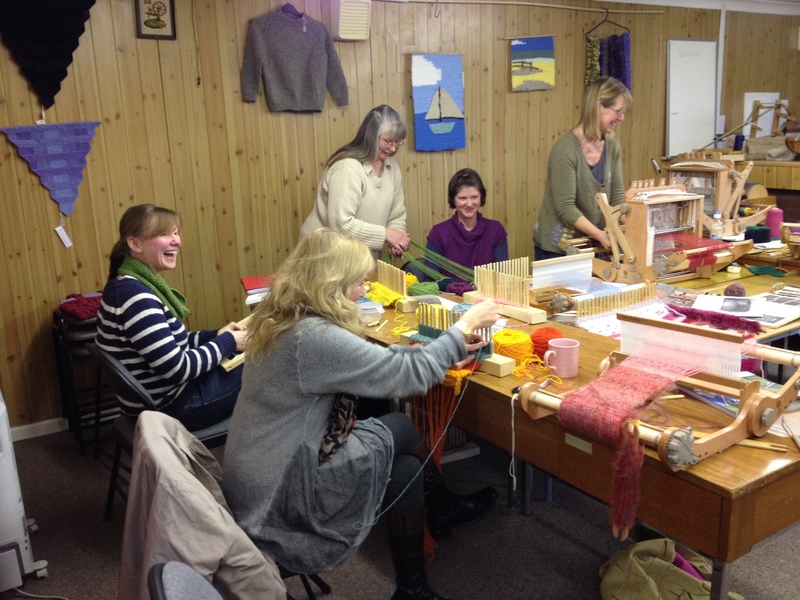 We are now planning next years workshops, the first will be in late February so check the website next year.